From June 6 to 9, the Country Music Association (CMA) held its 42nd Annual Fan Fair, a four-day music festival consisting of dozens of country performances including current, chart-topping Sennheiser users such as Blake Shelton, Miranda Lambert, Lady Antebellum and Zac Brown Band to ‘heritage’ artists including Kenny Rogers and Oak Ridge Boys. Each year, the festival gains in popularity around the world and this year was no exception as the total number of attendees exceeded 80,000 over the course of the festival — a 13 percent increase in overall attendance compared to 2012. Sennheiser supported the production with wireless equipment consisting of eight channels of EM 3732-II receivers, coupled with SKM 2000-XP handheld wireless transmitters and MMD 935-1 cardioid microphone capsules. Curt Jenkins was responsible for the audio as project manager for Nashville-based Sound Image. Jenkins made contact with Tim Moore, Sennheiser USA’s artist relations manager, several weeks before the event for assistance in coordinating artist and engineer equipment needs. With the complexity of the event in mind, Moore suggested bringing in the Sennheiser Global Relations Team for additional support utilizing their production-ready technical assets. "Sennheiser recognizes the challenges technicians and engineers face during these events to stay efficient, so our pre-configured wireless equipment racks give them one less thing to worry about," commented Kristy Jo Winkler, Global Relations Manager, Americas. The equipment was used extensively over the course of the performances at LP Field — Nashville’s 68,798 capacity sporting arena that is also home to the Tennessee Titans U.S. football team. In addition to the wireless racks, Sound Image appreciated the microphone capsules Sennheiser provided. "The e 935 microphone and MMD 935-1 capsule have become very popular and are the choice of a large number of Sennheiser users," commented Tim Moore. "The MMD 935-1 capsule has a natural response that consistently and accurately reproduces the source. 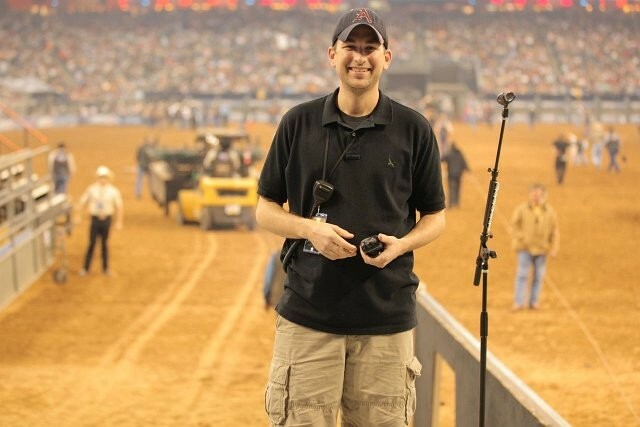 When Curt asked for support from Sennheiser, I knew that the 935-1 capsule would be perfectly suited for the application." "I was managing audio for the whole event," commented Curt Jenkins, who was asked to provide several additional channels of production wireless to cover the festival’s heritage acts as well as ongoing MC activities. "Since it was being filmed for TV by a major network, we had to ensure all the audio was rock solid, especially considering we were multi-tracking everything. We asked Sennheiser if they could help and they arranged to have a rack sent over without delay." In addition to the wireless microphones, Sennheiser also supplied several SR 2050 IEMs and evolution series wired microphones. The equipment was used throughout the duration of the four-day festival, providing clear and predictably flawless performance to the record-setting, sell-out crowd. From the outset, Jenkins had no doubt that the MMD 935-1 capsules would perform well in a stadium environment, especially considering that it has been the ‘go-to’ capsule for both Miranda Lambert and Blake Shelton: "The capsules themselves are well rounded," he says. "The MMD 935-1 is totally controllable in a stadium environment and because of its wide frequency response works great on anybody’s voice." 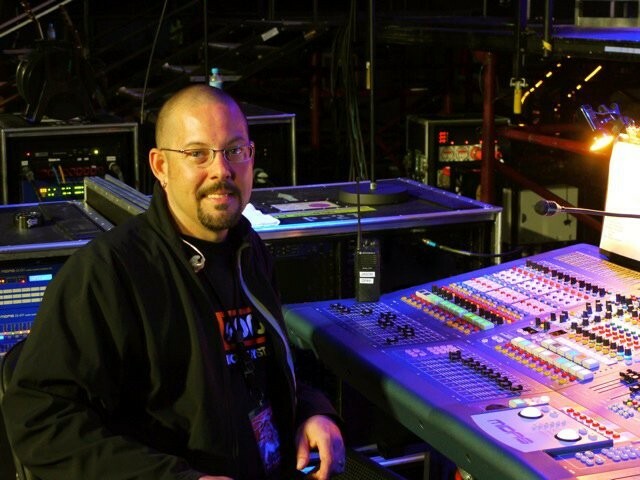 Jason Glass of Cross Plains, TN-based Clean Wireless Audio was hired by Sound Image to handle RF coordination for the stage microphones, IEMs, television crews as well as touring rigs for guest acts during the festival. Glass was tasked with covering the entire stage performance area as well as a secondary stage in the audience, located approximately seventy-five feet beyond the downstage edge of the main stage. He put the Sennheiser rack into play from the moment it arrived during load-in on June 3rd. "We relied heavily on the Sennheiser wireless receivers and transmitters during each of the four days, and everything worked perfectly," he recalls. Each day, Glass worked alongside each artist’s tech team to provide backup frequencies should any trouble arise. "Not only were the vast majority of pre-assigned Sennheiser frequencies clean, but Taylor Swift’s RF Tech Bill Flugan emailed me afterwards to let me know their show went flawlessly." Glass, who has toured for over 20 years as a monitor engineer, says that the Sennheiser gear performed as advertised: "Everything worked so incredibly well. In four days, we didn’t experience a single click, pop, swish or dropout." Glass says in addition to the incredible reliability of the Sennheiser wireless, he also appreciates the cross-compatibility between the 2000 series and 5000 series wireless systems: "When you are working with different touring acts, some walk in with Sennheiser 5000 systems — if the next act walks on and are carrying the 2000 series, you can push a few buttons on the receiver and be ready to go," he says. Perhaps most of all, Glass is appreciative of the care that goes into pre-configuring a turnkey system. "When you obtain a turnkey system from Sennheiser Global Relations, the rack is absolutely gorgeous. It is well thought out, constructed and functions exactly as you would expect," he says. "For instance, each BNC cable is no longer and no shorter than needed — when you are trying to squeeze every last decibel out of an RF transmission system, things like cabling become a factor and Sennheiser does it right." "It brings to mind the old catch phrase ‘German precision engineering’," concludes Glass. "Everything has its purpose, and that’s appreciated. When you talk to people at Sennheiser, they know their stuff." In picture: Curt Jenkins was responsible for the audio at CMA as project manager for Nashville-based Sound Image; Jason Glass of Cross Plains, TN-based Clean Wireless Audio was hired by Sound Image to handle RF coordination for the stage microphones, IEMs, television crews as well as touring rigs for guest acts during this year’s CMA Music Festival.